The original version of Rodney Ackland’s provocative work, The Pink Room, had a bruising reception back in 1952, losing thousands for investor Terence Rattigan amidst furious reviews. Since salvaged by the Orange Tree in the Eighties, its rebirth was cemented by a Judi Dench-starring production at the National, where it now returns for an intriguing if not entirely convincing encore. 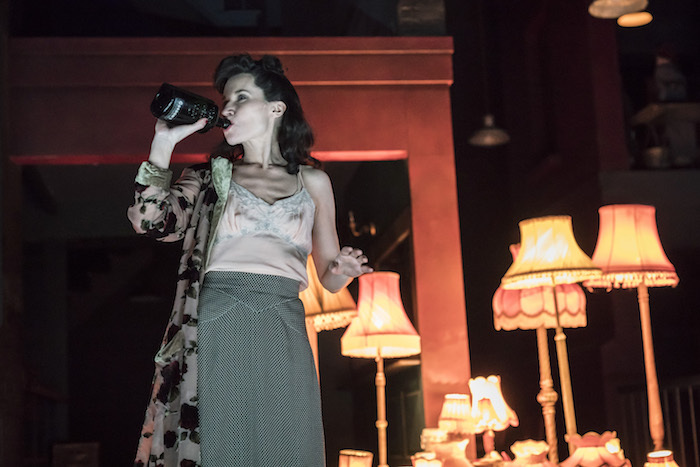 This entry was posted in Journalism, Theatre and tagged 1940s, absolute hell, broadwayworld, Charles Edwards, gay, homosexual, joe hill-gibbins, kate fleetwood, london, national theatre, review, rodney ackland, second world war, soho, theatre, war, ww2. Bookmark the permalink.